A woman’s search for her mother drags her into the binding embrace of a monster, a witchdoctor’s young niece tells him a life-altering secret, a man’s beachfront home becomes the site of his worst nightmare, an investigator who knows how to keep a 100% confession rate…. 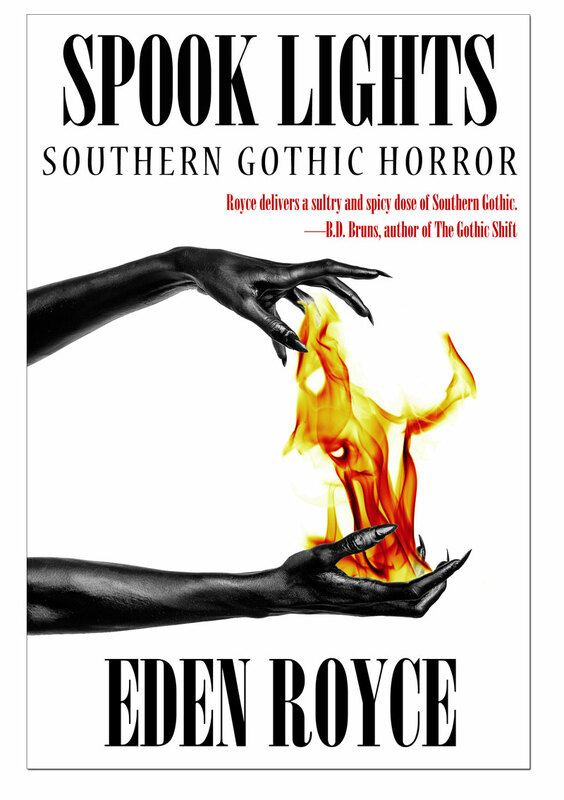 Spook Lights is a collection of short horror stories by Eden Royce, who was inspired by the rootworkers—Southern hoodoo magic users—she grew up around. Those interested in travelling to Charleston, South Carolina, ranked #2 in the World’s Best Places to Visit in 2015, will appreciate these tales of the Holy City at its darkest. 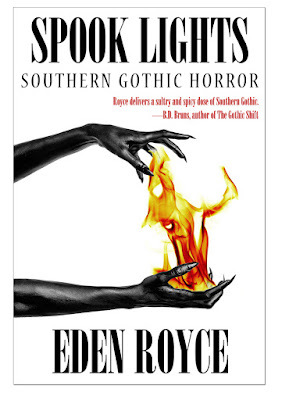 Many readers will find the descriptions of the lives of the under represented in horror fiction—African-Americans and Native Indians—a refreshing take on the genre. Wind came, strong through the curtains and the hovering shadows coalesced into a swirling ash grey mass. The grey cloud moved around the calling space, stopping at each candle, before it slunk between the two women to examine its sacrifice. Satisfied, it slid over to Frieda and swayed like a cobra. She could feel its presence inside her mind, inside her chest and she gasped as it probed at her most tender heartaches. Crushing memories rushed to the surface of her psyche: Henry’s countless betrayals, looks of pity from the local women, laughter from the men. Frieda’s heart seized. She gasped for breath as scabs, new and old, tore from each emotional wound. It delved deeper in its search, picking curiously, while tears grew behind Frieda’s fluttering eyelids. Her chest heaved and quivered with impending sobs. “The salt. Throw the salt!” Big Mama yelled, breaking through the creature’s trance-inducing sway. Frieda’s arm shook with the effort of tossing a small handful of salt over her left shoulder. While most of the salt found its way down the front of her dress, enough landed behind her to end the Hag’s internal quest. The smoky funnel whirled and spun with its newfound knowledge. The whirlwind roiled with fervor, covering the wine-soaked crab carcass in its dervish. When it finally moved, only the switchblade remained. The coil of ash rose in the thick, muggy air and hovered above the women. One word came from the twisting center eye. It extinguished each candle, then dissipated to leave the women surrounded by darkness and the scent of charred sulfur. 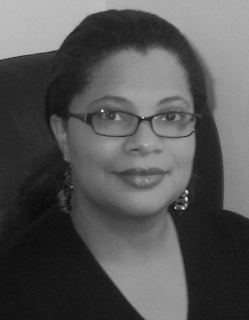 Eden Royce is descended from women who practiced root, a type of conjure magic in her native Charleston, South Carolina. She currently lives in Kent, The Garden of England, with her husband and a maniacal black cat named Samurai. Eden’s stories have been called “a fist in a velvet glove” (Roma Gray, author of Gray Shadows Under a Harvest Moon), “atmospheric, unforgettable, and haunting” (Crystal Connor, author of The Spectrum Trilogy) and she has been praised for bringing “a refreshing perspective to the table that paranormal lovers are sure to enjoy.” (B.D. Bruns, author of The Gothic Shift). When she’s not writing, Eden loves roller-skating, watching quiz shows, and perfecting her signature dish for Masterchef. Learn more about Eden’s brand of horror at darkgeisha.wordpress.com and at edenroyce.com.